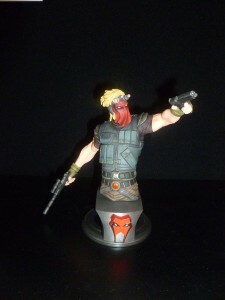 We finally have a full-color version of the Grifter bust coming in August of this year. It was unveiled at New York Toy Fair. It looks awesome! This entry was posted in News and tagged bust, grifter. Bookmark the permalink.